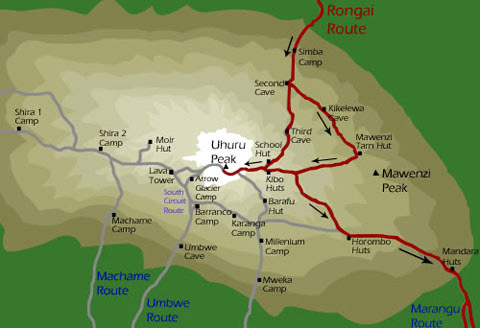 Highlights: Takes you to Kilimanjaro's true summit, Uhuru Peak and you can start your trek any day of the year! The Rongai Route is more scenic than the Marangu Route, easier than the Machame Route, and the success rate on the Rongai is very high. You can add an additional acclimatization day and make it a 7-day trek.